February 5, 2019, 10 a.m. – 3 p.m. This is your opportunity to meet with employers face to face and make a great first impression. By attending this fair you will learn about career opportunities and what skills employers are looking for, make connections in your field and gather important information about job search. Remember to dress professionally and bring several copies of your résumé. You will also have a chance to meet many alumni from your field. Look for employer representatives wearing the alumni pin. Please note that the doors will be closed at 3:00 p.m. Students arriving after that time will not be permitted into the event. Please bring your student ID card for entrance to the Career Fair. This is a very popular event. Come early to avoid crowds. Make sure to check the CAPS job bank and company’s website for active job postings. Just because there is no job posting does not mean they are not hiring. The fair is a great time to ask about upcoming job opportunities that are not posted. Note that this fair is for ENCS students and new graduates only. Please bring your student card to gain entry to the Fair. Two new companies have been added! 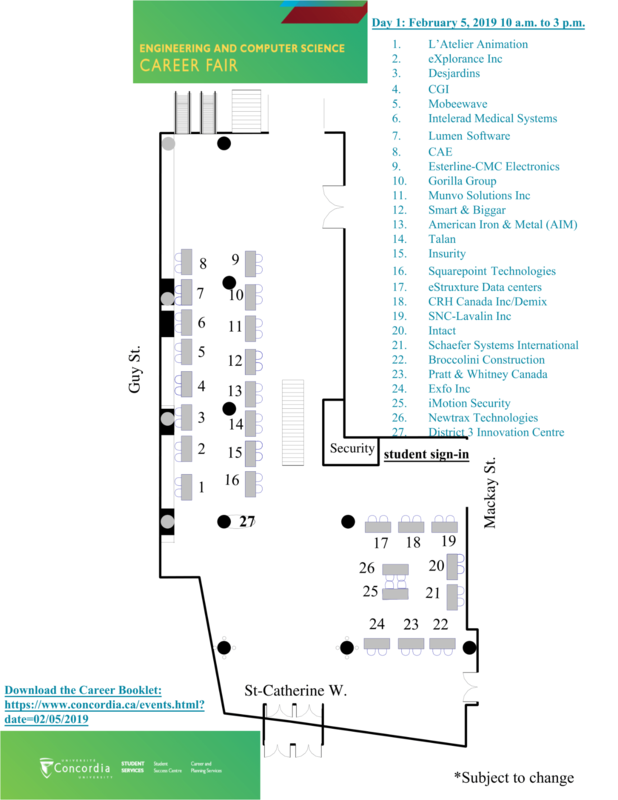 Pratt & Whitney Canada and CRH Canada/Demix will be attending the fair on February 5th.